Just when you thought it was safe to pack your umbrellas and take out your beachwear, you might want to rethink your plans. 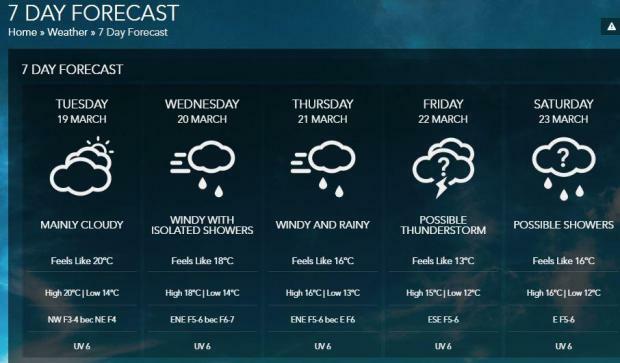 Three days of showers and strong winds are forecast, starting from Wednesday, according to the Meteorological Office. Rain and wind, reaching gale force strength, are expected on Wednesday and Thursday, the first day of spring. A thunderstorm is forecast for Friday as an upper level trough forms over the central Mediterranean. The weather is expected to be fine by the weekend. 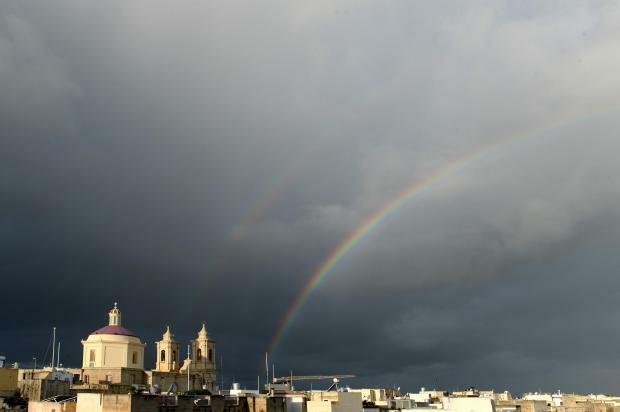 Malta has been basking in sunshine and warm weather since Saturday, a welcome reprieve after a wet winter and the most violent storm since 1982.